A mortgage-backed security (MBS) is a security collateralized by residential or commercial mortgage loans. An MBS is generally securitized, guaranteed and issued by three major MBS originating agencies: Ginnie Mae, Fannie Mae, and Freddie Mac. The cash flow of an MBS is generally the collected payment from the mortgage borrower, after the deduction of servicing and guaranty fees. However, the cash flows of an MBS are not as stable as that of a government or corporate coupon bond. Because the mortgage borrower has the prepayment option, mainly exercised when moving or refinancing, an MBS investor is actually writing a call option. Furthermore, the mortgage borrower also has the default option, which is likely to be exercised when the property value drops below the mortgage balance, and continuing mortgage payments would not be economically reasonable. In this case the guarantor is writing the borrower a put option, and the guarantor absorbs the cost. However, the borrower does not always exercise the options whenever it is financially optimal to do so, because there are always non-monetary factors associated with the home, like shelter, sense of stability, etc. And it is also very hard for the borrower to tell whether it is financially optimal to exercise these options because of lack of complete and unbiased information, e.g., they may not be able to obtain an accurate home price, unless they are selling it. And there are also some other fixed/variable costs associated with these options, such as the commission paid to the real estate agent, the cost to initialize another loan, and the negative credit rating impact when the borrower defaults on a mortgage. All these factors contribute to the complexity of MBS cash flows. In practice, the cash flows are generally projected by complicated prepayment models, which are based on statistical estimation on large historical data sets. Because of the complicated behaviors of the MBS cash flow, due to the complex relationships with the underlying interest rate term structures, and path dependencies in prepayment behaviors, Monte Carlo simulation is generally the only applicable method to price MBS. Associated with the uncertainty of cash flows are different kinds of risks. Treasury bonds only bear interest rate risk, whereas non-callable corporate bonds carry interest rate and credit risk. MBS are further complicated by prepayment risk (resulting from both voluntary prepayment and default). Thus risk management is especially critical for portfolios with large holdings in MBS. Duration and convexity are the main risk measurements for fixed income portfolio mangers. Many practitioners use either the Macaulay duration, or modified duration (Kopprasch ) to capture the MBS price sensitivity with respect to interest rate changes, but these duration measures assume a constant yield and known deterministic prepayment pattern, which is rarely the case in practice. So these two approaches to calculate duration can lead to serious errors when used in hedging. Golub  proposed four different approaches to estimate the duration: Percent of Price (POP), Option-Adjusted Duration (OAD), Implied Duration, and Coupon Curve Duration (CCD). The first two approaches apply parallel shifts in the yield curve, which is not a very realistic assumption. The latter two approaches require large numbers of previous or current accurate MBS prices that are comparable to the MBS whose duration is to be measured. This might not be practical for on-the-fly pricing and sensitivity analysis. Another drawback of these approaches is that they handle only duration and convexity, but not sensitivity to interest rate volatility. OAD method can estimate the vega (the price sensitivity to volatility) using a finite difference approach, which requires 3 simulations to estimate one gradient: the base, up and down cases. And non-parallel yield curve shifts require more parameters to characterize the shift. Thus, in the setting we consider in Chapter 2, to estimate the duration with respect to yield curve shift of 4 summed harmonic functions would require 9 (2n+1, n=4) simulations. To estimate vega requires 2 additional simulations. So estimating the duration and vega roughly increases the computational cost by a factor of 10. Calculating convexity would require 75 duration estimators to calculate 25 convexity estimators, increasing the simulation factor to 225. In other words, if one were to use 10,000 replications to estimate the MBS price, over 2.25 million simulations would be required to estimate the various sensitivities. Our work aims to decrease this computational burden dramatically. Most literature on MBS has concentrated on prepayment model estimations, although some of the recent work has focused on computational efficiency, e.g., dimensionality reduction via Brownian bridge ( Caflisch et al. ), and quasi-Monte Carlo (Akesson and Lehoczky ). However, there is no work that we are aware of that addresses efficient sensitivity analysis of MBS pricing and hedging. Related work in equities includes Fu and Hu , Broadie and Glasserman , Fu et al. , , and Wu and Fu . Perhaps the most relevant paper to our work is Glasserman , which applied perturbation analysis (PA) method for caplet price sensitivity analysis. Yet most of these models involve only a single exercise decision with a one-time payoff, whereas an MBS is a pool of homogenous mortgages rather than an individual mortgage loan. So the cash flows exist until the maturity of the collateral, and they are highly path dependent, which makes sensitivity analysis of MBS more complicated. 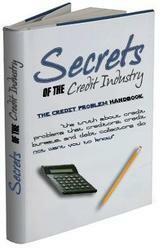 The other relevant body of research literature analyzes the duration of different mortgage products. We know that adjustable rate mortgage (ARM) products will have a different response from fixed rate mortgage (FRM) products, due to ARMs' coupon-reset plan and different prepayment function. In a series of papers, Kau et al. [1990,1992,1993] priced the ARMs and performed some sensitivity analysis. Chiang  applied a simple simulation scheme to estimate the modified duration of ARMs. Stanton  calculated the duration of different indexed ARMs via a scheme like Kau's. However, most of these papers are based on solving models based on partial differential equation (PDE), using simplified assumptions that often miss essential features that can be captured by Monte Carlo simulation. The three major drawbacks of these models that make them impractical in the mortgage industry are the following: • They assume borrowers exercise the prepayment option only when it is financially optimal to do so. This ignores the fact that people routinely prepay even in financially adverse environments, e.g., house sales. Also seasoning and burnout effects are not considered. By solving the PDE, one can only obtain a set of present values of the MBS along the interest rate axis. By applying the finite difference method, duration of the MBS could be acquired. However, it provides no information about the discounting factor and cash flows along the time horizon. So you will have no information about how the interest shift affects different components of the present value. The PDE method generally uses one-factor interest rate model, which applies the same interest rate both for discounting and for the prepayment model, which ignores the difference between short-term and long-term interest rates. We derive PA estimators for these Fourier-like factors, as well as interest rate volatility, which can largely save computation effort. In our example, we calculate 5 duration estimators and 16 convexity estimators in our simulation, which would require 155 simulations using a conventional simulation scheme. Based on our comprehensive analysis of the sensitivity measures we calculated for a full spectrum of mortgage product, we propose a new mortgage product, which can potentially benefit both the MBS investor and mortgage borrower. This essay is organized in the following manner. Section 1 describes the problem setting. We then derive the framework for PA in a general setting in section 2, without restrictions to any specific interest rate model or prepayment model. Then we consider the well-known Hull-White interest rate model (Hull and White ) and a common prepayment model to derive the corresponding PA sensitivities for FRM and ARM products in section 3, assuming the shock of interest rate term structure takes the form of a series of trigonometric polynomial functions. 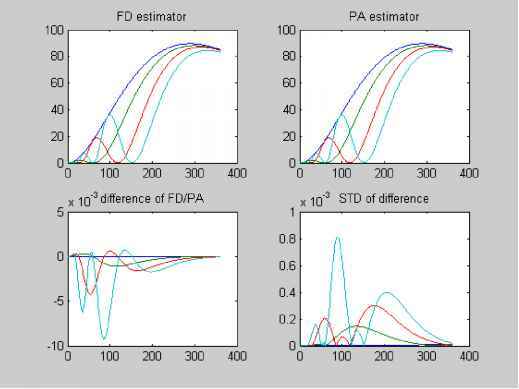 Section 4 presents numerical examples, in which we compare the performance of FD and PA estimators, indicating that the PA estimator is at least as good as the FD estimator, while the computation cost is reduced dramatically. Section 5 gives the insights from our simulation results. Section 6 gives conclusions. Why might a mortgage company hedge with put options on mortgage backed securities?